This wine cork board is one of my favorite items in our home. It’s made from an old piece of wood and lots of wine and champagne corks. I love the rustic look it gives our kitchen, and hopefully it will inspire you to create your own! If you are going to hang your cork board, simply add a picture hanger or some eye hooks and some wire to the back. 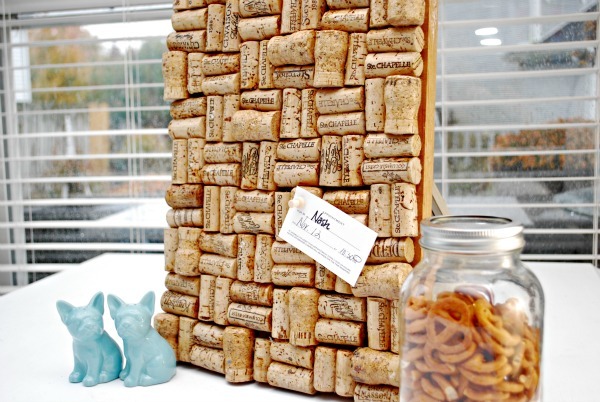 Now you can pin reminders, photos, recipes or messages to your wine cork board…I bet you’ll have the cutest cork board on the block! 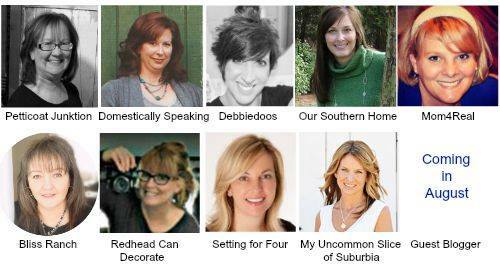 Now, onto some more amazing thrifted projects from my talented blogging friends, The Thrift Store Decor Team! Be sure to check them out and let them know how much you love their projects! Hi! 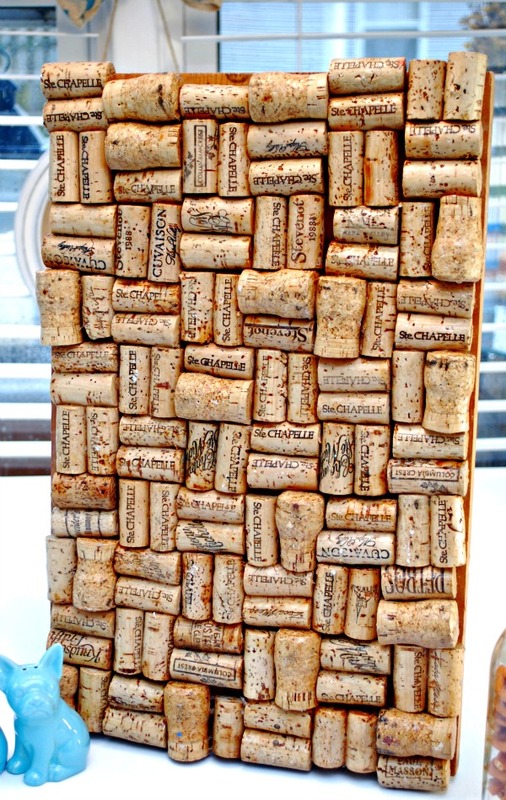 Are all of the corks you used, real cork, or are some of them the plastic or synthetic kind? Also, I was thinking it could be used for a hot pad for large dishes like lasagna, a cake to cool on, etc. What do you think? They are all real…this would definitely work for a hot pad!!! Great idea! I used a old 8 x 10 photo frame that the glass got broken. It worked perfect to hang on the wall and to use as a hot pad. Ahhh I love cork projects!! This is fabulous!